Where you can find supporting documentation to support your appeal reasons and increase your chance of getting the claim paid. What we want from the claims process is a quick reimbursement. When a claim is submitted with errors, such as incorrect information, the claim is denied. When it is denied an appeal has to be made - and appeals are anything but quick. Each insurance provider has a particular procedure they require to appeal a claim. If this procedure is not followed the appeal will not be considered and payment will again be denied. Each of these is equally as important, but the significance of supporting documentation cannot be stressed enough. One or more of these documents may need to be included depending on the reason for the claim denial. Where is supporting documentation located? This depends on the type of denial you are dealing with, and trust me: there are a ton of reasons claims are denied. Presently, most things are computerized and most supporting documentation can be found within the Practice Management System (PMS) used by the physician's office, hospital, or other medical facility you may work for. If the doctor you happen to be employed by is Barney Rubble and is still living in the stone-age (or paper-age if you prefer), you can find most of the information you need in the filing cabinet containing the patient's files. As mentioned previously, insurance claims can be denied for a number of reasons. Here are a few of the top reasons for denials by insurance providers and where you can find the documentation you need to support an appeal. A claim has to be filled within a year of the encounter. Sometimes claims are lost or simply overlooked. As long as you actually filed your claim on time (and the amount of the claim is worth filing), there is no reason not to move forward with an appeal. There are a number of places to locate supporting documentation for timely filing. The first place to look is the practice management system. When you use a PMS a claims report is created that will have the date the claim was sent out. If the claim was sent out by certified mail, you can locate the date on the receipt given to you by the post office. Clearinghouses are sometimes used by physicians. If this is the case for your place of employment, contact the clearinghouse and obtain any reports they may have that prove the date the claim was sent out. It may be wise to send 2 or more of these documents to verify the claim filing date. There are a few supporting documents for this type of denial. The patient files will contain this information. Include the patient's medical records (even the ones that go back as far as the chief complaint), any notes from the physician, any notes on the progress of the patient's condition, lab reports, radiology reports, etc. A letter, written and signed by the physician, explaining how treatments may help improve the patient's condition can be a beneficial tool as well. This can be a tough denial to deal with. Supporting documentation is vital to the success of these particular appeals. At times a patient is seen on the same day for the same procedure. Insurance providers tend to see this as a duplicate form (especially if certain modifiers are left off). Again, the key information you need is inputted into the practice management system or they are located in the patient files (paper) stored within your office. Supporting documents for this particular situation include: medical records, anything that show dates and times the procedures took place, physician notes, progress reports, clearinghouse records, etc. You can even go as far as printing off a surgery schedule (if the claim procedure was surgery). It is a common mistake to forget the 5th digit or possibly use an outdated code. However, it is possible the insurance provider may be mistaken; after all, they are run by humans - and humans make mistakes. If, after examining the claim, you still feel the insurance provider to be incorrect in their denial decision, you may ask for them to review their assessment. Supporting documentation for incorrect code usage includes files found in the patient's medical records. You will need reports that include diagnoses, procedures, physician notes, etc. It is always a good idea to include a copy of the initial claim and claim number; it's easier for the insurance to locate the claim if the claim number is present. There are times when an insurance provider accepts a claim but an appeal is still needed. 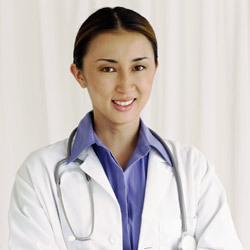 For example, an insurance company does not reimburse the healthcare provider correctly. It is a known fact that insurance companies do not like to shell out money for healthcare claims; every payout takes money from the surplus of the company. Sometimes their reimbursement is not quite to the level it needs to be. An appeal would be required to obtain the rest of the payment. For such a case, a copy of the original claim as well as a copy of the remittance advice will need to be provided. The patient's medical files that include a record of the diagnoses and procedures not reimbursed correctly are imperative. Insurance providers have a copy of a schedule for medical fees in any given area; however, providing a list of the procedural charges may be beneficial. By now you understand how important supporting documentation can be. Whether you live in the stone-ages or in present times, the documentation you require must validate the reason for the appeal. Know that until human error is ruled out, denials will occur and the need for the appeal processes will persist. Follow the procedures set forth by individual insurance companies, include a letter of appeal, and always have supporting documentation. Remember: The best way to resolve an appeal is to avoid a denial in the first place. Try sending any supporting documentation with the initial claim.